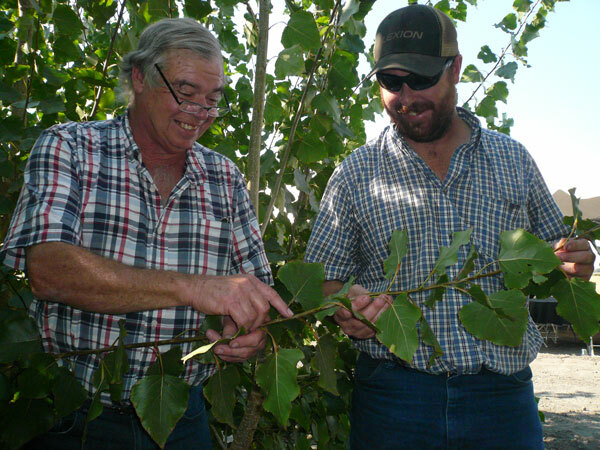 Sixth generation farmer Bobby Kirtland and his dad, Bob, have traditionally grown sugar beets, corn, tomatoes, and safflower in California’s Sacramento Delta. 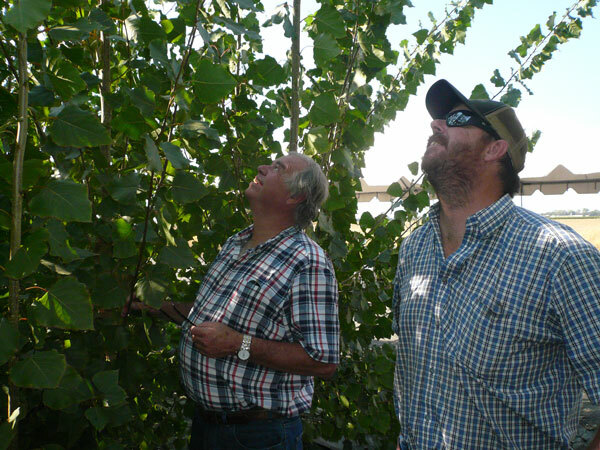 So when the opportunity came to grow poplar specifically for bioenergy for an Advanced Hardwood Biofuels demonstration site, they were eager and enthusiastic. “We try to get a jump on (other farmers), go in before anyone else does and do something new,” said Bobby Kirtlan. At the Kirtlan’s Clarksburg farm, the poplars are showing robust spring growth from their cut root stalks after the initial coppice harvest in the fall of 2014. GreenWood Resources checks the trees and site periodically to assess tree growth, detect problems from pests or pathogens, collect data from soil monitoring equipment, and repair any damage caused by animals to the data cables and lysimeters used to determine the amount of water-soluable matter.